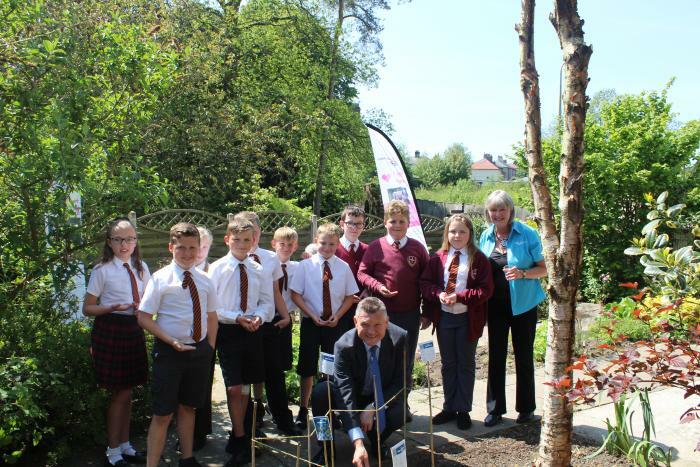 Mr Starkie took part in a forget-me-not seed-planting event in the garden of the De Lucy Centre, Egremont, where he joined pupils from St Bridget’s School to help promote a more dementia-friendly community. The event was organised by Age UK West Cumbria’s Community Connections Team as part of a range of activities and actions to support the Alzheimer’s Society’s national Dementia Action Week (May 21 to 27). Mr Starkie said: “I was delighted to be asked by Age UK West Cumbria to attend this event to learn more about the great work they are doing to promote a dementia-friendly community. Christine Hunter-Hall, Copeland Community Connections Co-ordinator, said: “With one person every three minutes being diagnosed with dementia, it is really important that we build dementia-friendly communities. Other local Dementia Week events have included ‘Walk Down Memory Lane’ in Millom, a dementia-friendly tour of Muncaster Castle, an afternoon tea in Distington, and a drop-in session at Cleator Moor Library.